If you're looking for bars to unwind at the end of your day in Nice, here are the Best Western Plus Hôtel Masséna Nice's top 10. It's time for a drink and you fancy unwinding on the terrace or getting your dancing shoes on with your friends. Check out where to go in Nice depending on your favourite area: Vieux-Nice, Nice Port or Place Garibaldi. 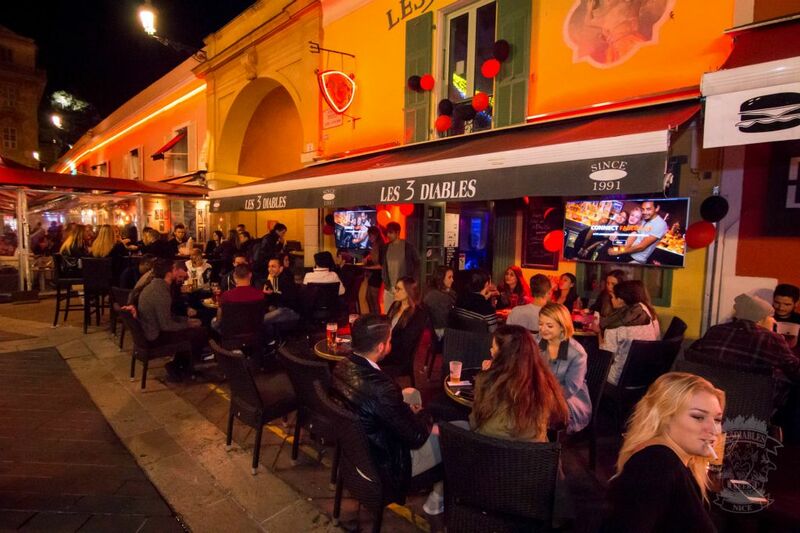 Les 3 Diables pub is a real institution in Nice that's been around for over 20 years. Young locals meet up at this pub to bring the Cours Saleya to life and dance the night away. If you like karaoke then be here on Wednesdays at 10.30pm! In the heart of Vieux-Nice, Le Bateleur is the perfect place to unwind at the end of the day. 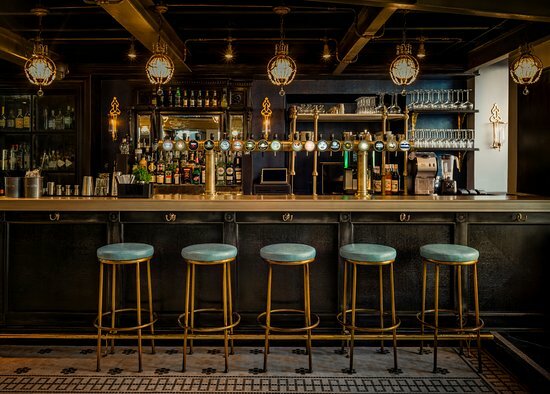 The stylish bar oozes good times and warmth. The drinks menu features beer from all over the world, cool cocktails and fine wine. The team at Le Bateleur will greet you with a smile and happily advise you about the best food and drink pairing. Do you want to watch a match with a beer? L’Akathor is the perfect place! The night bar has been open since 1996 and shows major sporting events on the big screen. Get a warm welcome from the multilingual team all year round. Feeling peckish? L’Akathor serves a tapas menu. The Best Western Plus Hôtel Masséna Nice recommends their nachos served with guacamole. Le Shapko Bar and its Jazz, Soul, Brazilian and Funk atmosphere is open every day. Enjoy your cocktail or beer as you watch myriad bands perform all night long. 6pm-9pm is Happy Hour and Monday night is all about the Jam open mic night for any musician. Top tip: Get there fairly early in the evening to be sure to get a table. Nice Port is buzzing day and night. Start your evening with dinner at a restaurant then head to one of the bars with views of the port and its boats for you to enjoy with a drink. Ma Nolan’s is a warm and cosy pub decorated with wood, steel and leather. Its ideal geographical location means you can have a meal and have fun with unobstructed views of the port. 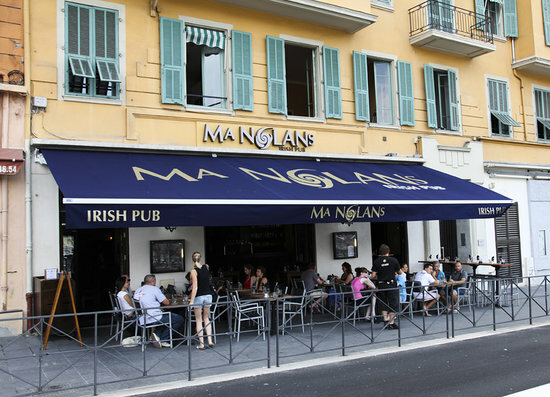 If the old town is more you're thing then there's a Ma Nolan’s in Vieux-Nice too. Soak up the large terrace at La Shounga and the bar's views of the port. You can really let go here with a drinks menu featuring countless cocktails, beers and wines at fair prices. This is the place to be if mojitos are your favourite tipple. Fancy experimenting with cocktails? The Darwin Cocktail Bar is the perfect place for something new. The cocktail menu is designed by its mixology bar staff and the tapas is homemade. Enjoy your drink as you soak up the warm and cosy atmosphere. Place Garibaldi is one of the busiest squares in Nice at night. Locals and tourists get together here at the end of the day for a drink in front of the stunning Garibaldi Fountain that takes pride of place in the middle of the square. Le Café de Turin from Jo L’Ecailler has been a local institution for over 100 years on Place Garibaldi. Locals often get together here. Sit on the terrace and order your glass of white wine with a freshly caught seafood platter cooked on-site. 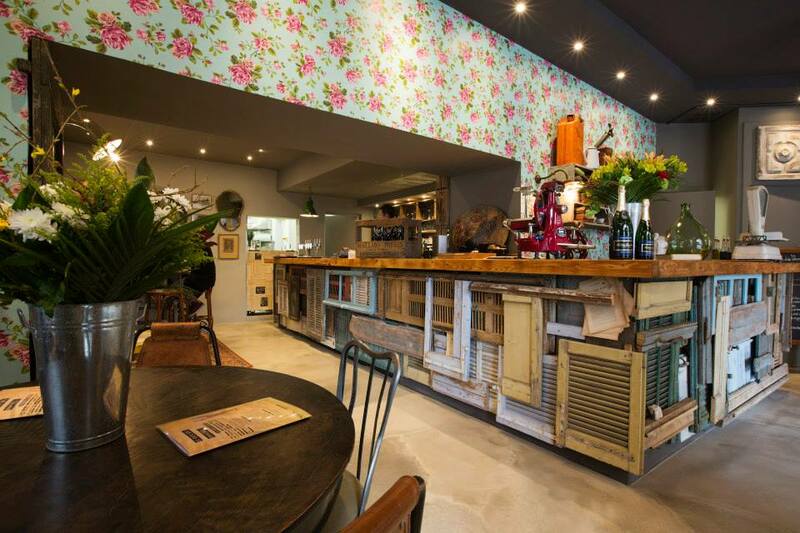 In one of the liveliest parts of Nice, Le Café des Chineurs has a cool vintage interior. The menu features beers, wines and cocktails that you can drink with simple but delicious dishes. We recommend the cocktail of the day, an exciting experience every time you visit! With its lounge bar atmosphere, C’Factory is just minutes from the green space and open Tuesday to Saturday until midnight. Start your night with their homemade cocktails whilst sitting in one of their quirky sofas. Is it already 2am? Not ready for bed yet? There are lots of options: Casinos, clubs or even a late night swim. End your night on a high in a premium bed at the Best Western Plus Hotel Massena Nice!